Brisbane is enjoying a $1.2 billion transaction boom across major office assets in Q3 2018, as investors rush to capitalise on a thin supply pipeline and increased occupier demand, reports The Australian. International investors are well represented, with Singapore-based ARA Asset Management and US funds manager Heitman believed to be positioning to carve up the $200 million Quadra Pacific office portfolio. The assets at 133 Mary Street and 288 Edward Street were put on the block earlier this year, with ARA now chasing the former asset and Heitman thought to be keen on the second. JLL listed the trophy Brisbane office portfolio for sale in July. ARA has been active on both the corporate front and buying direct assets. It this year picked up a 19.5 per cent stake in property group Cromwell and also bought a near $200m tranche of east coast logistics properties from Blackstone. Another recent deal saw Growthpoint Properties Australia pay Charter Hall $250 million for the 100 Skyring Terrace office tower in Newstead on the city fringe, home to ASX-listed tenants Bank of Queensland and Collection House. Brisbane’s office market chalked up the biggest improvement of any city over recent months, as a reviving economy, coupled with leasing deals helped pull the vacancy rate down to 14.6 per cent in July. The combination of a thin supply pipeline and improved tenant demand suggests vacancy rates will ease to about 14 per cent by the end of the year to about 13 per cent by mid-2019, ahead of the next additions, says the latest CBRE Brisbane Marketview. 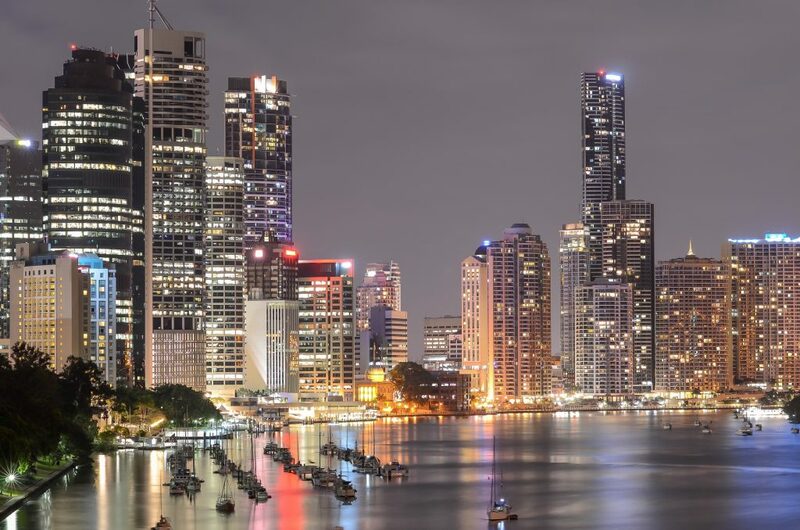 This view is echoed by the Savills latest briefing, which reported that rising commodity prices, increasing net migration, and a lower Australian dollar are boosting the Queensland economy and driving demand for office space. Cushman & Wakefield also reported that demand for large, contiguous spaces has increased over recent months. This year, Brisbane has drawn office buyers including Charter Hall, Britain’s M&G Real Estate, Goldman Sachs and EG Funds Management. In addition, Aecom, Rio Tinto, Little Tokyo and IAG are actively seeking space, who combined require up to 43,500 square metres. The forthcoming demolition of the Transit Centre has displaced several tenants including Sonic Healthcare, DHL, Australia Post and the Department of Defence who have been seeking alternative office accommodation. In addition, organisations such as Mastercard and FMS have been expanding, boosting demand for larger office spaces. Increased demand for large space did not affect the speculative suite market, with multiple landlords continuing to attract smaller tenants through speculative fit-outs as Brisbane became the largest suite market in Australia with 27,000 square metres in total.